• Attendance at HRLC Conferences, lectures, Film Series and other events. Details on course content, speakers, training methodology, fees and application deadlines can be found here. For those who cannot find the time to take a full-time residential course, the Centre offers an online distance learning course. There are seven modules to choose from, including UN Human Rights System, International Criminal Justice and Economic, Social and Cultural Rights. Each module lasts eight weeks and has both theoretical and practical dimensions, with an emphasis upon current issues. The International Rehabilitation Council for Torture Victims (IRCT) is currently recruiting a Regional Coordinator for Europe to support and build the development of the IRCT members in the region. This post is part of the Membership Team of the IRCT Secretariat and will be based in Brussels after an initial induction period in Copenhagen. The Office for Democratic Institutions and Human Rights (ODIHR) is the principal institution of the OSCE responsible for the human dimension. ODIHR is active in 56 participating States in the fields of election observations, democratic development, human rights, tolerance and non-discrimination and the rule of law. ODIHR supports the 56 OSCE participating States and civil society in their efforts to effectively respond to hate-motivated crimes, to promote freedom of religion or belief, and to facilitate mutual respect and understanding. ODIHR’s work is focused on addressing specific forms of intolerance through multi-faceted programmes that address education, law enforcement, legislation, monitoring and the collection and dissemination of information. ODIHR builds the capacity of civil society to recognize and monitor hate crimes and to work on developing effective responses in their communities. The ODIHR Tolerance and Non-Discrimination Department is looking for an intern for a 6 months period starting in February 2013. The Euro-Mediterranean Human Rights Network (EMHRN) offers in its EMHRN Brussels office a paid internship ('internship convention' under Belgian Law) from 3 January 2013 until end July 2013 to assist on its project on Palestine, Israel and Palestinians. The EMHRN was founded in January 1997 in response to the Barcelona Declaration of November 1995 and the establishment of the Euro-Mediterranean Partnership. It is the coordinating body of about 70 human rights organisations and institutions as well as individuals from over 30 countries in the Euro-Mediterranean region. Rooted in civil society the EMHRN seeks to develop and strengthen partnerships between NGOs in the EuroMed region, i.e. networking aimed at strengthening the capacity of members to act and interact within the context of the region and the Barcelona process and other EU-Arab cooperation frameworks. The EMHRN Brussels’ office advocates for human rights with the EU institutions. EMHRN’s project on Palestine, Israel and Palestinians aims at setting human rights and international humanitarian law at the heart of the Middle East Peace Process by raising awareness in Europe, Israel, the Occupied Palestinian Territory (OPT) and the Arab region on the EU’s human rights commitments and actions in its relations with Israel. Through its Working Group on Palestine, Israel and Palestinians (PIP WG), the EMHRN has for the past 11 years engaged in reviewing the obligations, commitments and actions of the EU and its Member States under international human rights and humanitarian law in relation to Israel and advocates for changes in EU’s policies and actions accordingly. The PIP WG also monitors EU’s human rights commitments and actions in its relation with the Palestinian Authority. The PIP WG is a unique group of 15 representatives of Israeli, Palestinian, European and Arab human rights organizations who jointly do advocacy work in Europe. This eight-week programme, carried out by way of a two-hour seminar each Monday evening, examines the laws of war and international criminal law from the perspective of international human rights law. 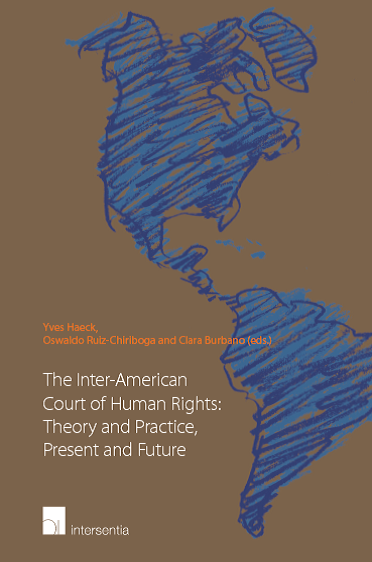 It confronts the crucial questions: are human rights law, the laws of war and international criminal law three distinct disciplines? Have they now become so entwined that it is not possible fully to understand one without some knowledge of the other? Humanitarian law, international criminal law and the law of human rights have many features in common. This course will make the links between these different strands of law and show how they work together and complement each other. It will also show where they are distinct and analyse why it is necessary to acknowledge that the three bodies of law are separate, despite the fact that the three strands work towards many of the same goals. At the course's conclusion, participants will have a real grasp of how human rights law now informs all aspects of conflict and its aftermath, including terrorism and international crimes. 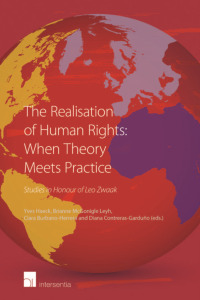 A certificate of attendance from the Centre for the Study of Human Rights at LSE will be awarded to all those who have successfully completed the course. The Financial Mechanism Office (FMO) administers the EEA Grants and Norway Grants on behalf of the governments of Iceland, Liechtenstein and Norway. The grant schemes aim at reducing economic and social disparities in the European Economic Area (EEA) and strengthening bilateral relations with the 15 EU countries benefiting from the funding. Key areas of support by the Grants include environment and climate, civil society, human and social development, cultural heritage and cultural exchange, research, scholarships, decent work and justice and home affairs. The FMO is affiliated to the EFTA Secretariat in Brussels and reports to the ministries of foreign affairs of Iceland, Liechtenstein and Norway. It serves as a contact point for the donor states, beneficiary states and other stakeholders. The FMO has about 50 employees. The Financial Mechanism Office (FMO) is recruiting a (Senior) Sector Officer who will provide expertise and guidance to the Donor States on Roma issues in relation to the EEA and Norway Grants during the programme period. S/he will also advise on the inclusion of horizontal concerns including equality, social inclusion, anti-discrimination, and fundamental rights under the EEA and Norway Grants’ Programmes. The Sector Officer will join the FMO Sector Team and report to the Head of Sector. The position will mainly be based in Brussels, with approximately 25% of the time spent at the Roma Initiatives Office of the Open Society Foundations (OSF) in Budapest to ensure the exchange of knowledge and expertise between the OSF and the EEA and Norway Grants. The position is located in the Anti-Discrimination Section; Rule of Law, Equality and Non-Discrimination Branch; Research and Rights to Development Division in the Office of the High Commissioner for Human Rights (OHCHR). The incumbent reports to the Chief of the Section.